Does going to the dentist give you anxiety? 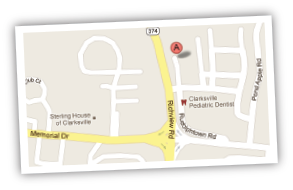 Richview Family Dentistry wants to give you some information that might alleviate some of the stress. Dental anxiety and phobia are extremely common. It has been estimated that 9% to 15% of Americans avoid seeing the dentist because of anxiety and fear. That’s about 30 million to 40 million people. Nitrous oxide (also called laughing gas). This gas, which is inhaled by the patient through a rubber face mask, helps people feel relaxed and is one of the most common forms of sedation used in the dental office. General anesthesia. With this technique, the patient is “put to sleep” for the duration of the procedure. Patients requiring general anesthesia can be treated in the dentist’s office, but more likely are treated in a hospital setting. A Thorough Cleaning – a dental hygienist will scrape along and below the gum line to remove built-up plaque and tartar that can cause gum disease, cavities, bad breath and other problems. Then he or she will polish and floss your teeth. Orthodontists are specialists who work to align the jaw and straighten the teeth to improve the function and longevity of a patient’s dentition. Orthodontists aid in guided growth of the face and jaw through various orthopedic devices, such as braces, retainers, aligners and headgear. Seeing an orthodontist for one to three years is common in order to get a beautiful smile with straight teeth.